When people imagined robots eventually taking their jobs, they pictured sci-fi film-style robots, shaped like silver humans with two legs and two arms. The image was so set in people’s minds, it took a while for people to realize that robotics is already a large part of the business they do every day, and it looks nothing like they imagined. One of the fields with the strongest robotics processes in place is accounting. Technology is no longer limited to calculations and creating documents. Software is taking over entire segments of accounts payable processing, helping businesses be more efficient while also reducing operating costs. Here are a few examples of how robotics is transforming the accounting field. 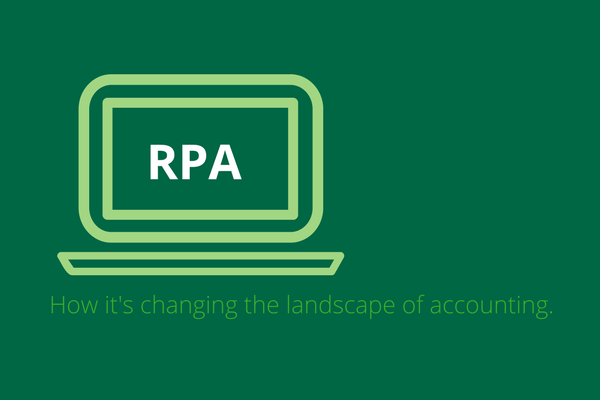 Robotic process automation (RPA) has given accounting the data it needs to gain insight into accounting activities. In addition to understanding cash flow, analytics can help businesses monitor product inventory levels and better understand supply needs moving forward. But as technology has advanced, software has gained the ability to gather data from various systems and databases and apply it toward estimating what will happen. Known as predictive analytics, this technology empowers businesses to make better decisions, since the information provided is based on past behaviors. Technology has long been limited by its requirement for human intervention. Everything a piece of software does is preprogrammed by a developer. But machine learning takes software to the next level, letting it gradually adjust its behaviors based on past results. This technology is still so new, accountants need to closely monitor it to catch errors. In the near future, machine learning will grow more accurate, sophisticated, and reliable until it can replace much of the work accounting professionals do on a daily basis. Even with the internet, approvals can be tedious. Suppliers send invoices, which need to be manually processed and forwarded to approvers. Today’s software automates this process, receiving incoming invoices and forwarding them to the appropriate personnel as directed. When one person or group of people signs off, it automatically progresses to the next person or next group, who is or are notified to take action as soon as possible. As a result, invoice slowdowns are virtually eliminated and businesses have the confidence of knowing that the right people are signing off on every transaction. Among the many ways technology has changed accounting, few have been as beneficial as vendor portals. Instead of mailing an invoice and waiting for it to process, vendors can now log into a portal and view and see the status of their invoices. Vendor portals also speed up the onboarding process, letting them easily supply the information the business needs to work with them. In addition to speeding up payments and reducing errors, this also reduces the number of duplicate invoices and eliminates the time-consuming task of answering vendor payment inquiries. Both the vendor and the accounting team save time this way. A business’s accounting team is one of its most important assets. As companies grow, though, it can be difficult to scale to meet increasing demand. Automation allows accounting teams to manage processes with ease, while also freeing up employees to focus on higher-level tasks, which also prevents burnout.